Patients, family & friends of Catherine’s Health Center are able to pick up a bag of fresh fruits and veggies at Catherine’s during this fun event! 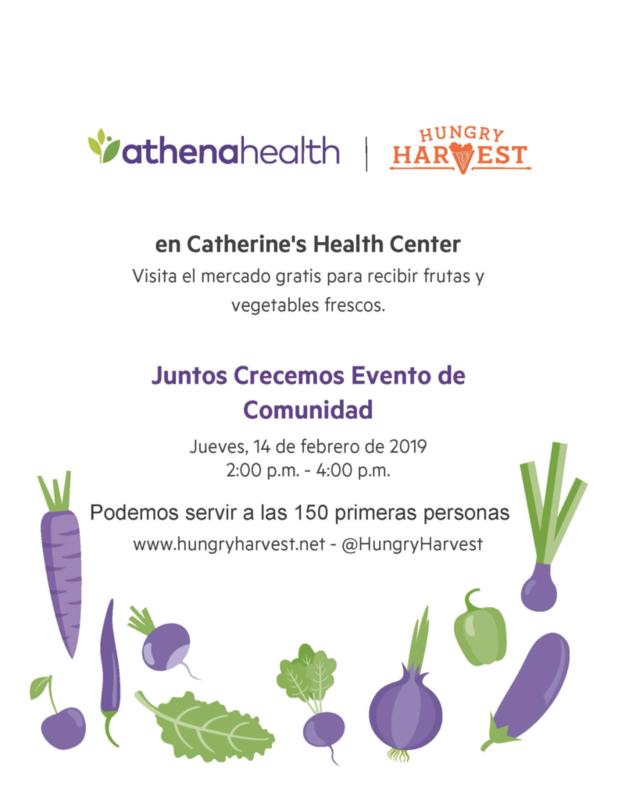 Thanks to Athena Health & Hungry Harvest, we’ll have about 150 bags of fresh produce to distribute. Please join us!